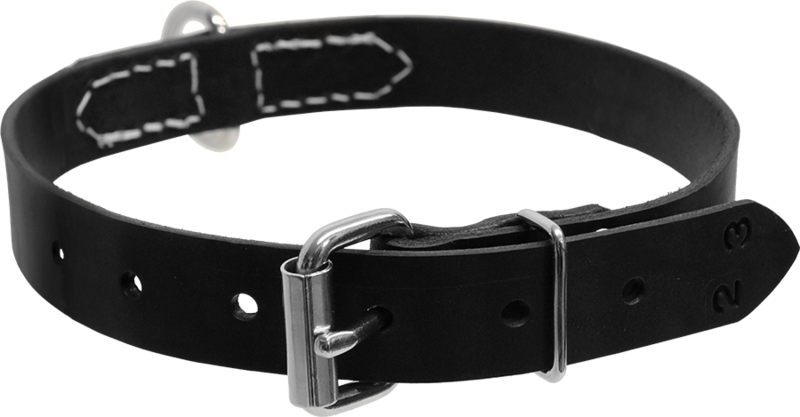 Select a Size 18" - 23" 24" - 28"
Our Flat Center D-ring leather collars are made from the highest quality latigo leather. 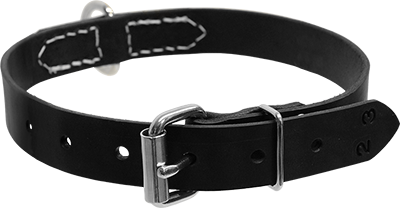 These collars are single layered to be light on your dog, yet with an extra piece of leather that is double stitched and riveted, this collar is extremely durable as well. These are perfect collars for around the house, training, or both.